Develop youth workers’ digital competences by teaching them innovative digital tools / methods / platforms / applications for storytelling. Rounding up support from Norwegian National Agency, Aktiv Ungdom, the project was carried out in the frame of Erasmus+ KA1 program. The training aimed at professionalizing youth workers in developing long-term storytelling strategies for their organizations, in order to reach community and financial sustainability. 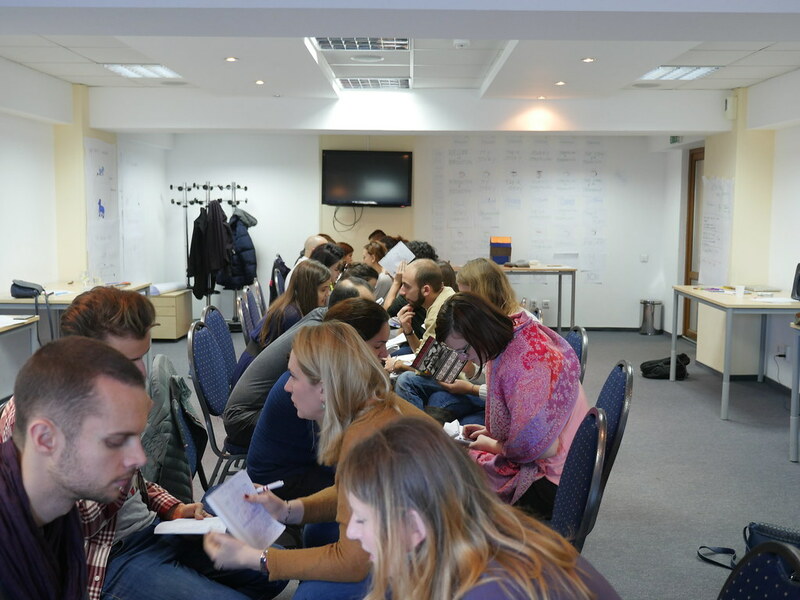 The training course, organized by Norsensus Mediaforum from Norway and Fundatia Danis from Romania, took place in Cluj-Napoca, Romania, at the end of November 2016. The event brought together youth workers from Bulgaria, Italy, Lithuania, Macedonia, Norway, Poland, Romania, Spain and Turkey. The catalyst for offering this workshop was to explore storytelling as a way of organizational and personal development. “In a time of chaos of information, we need good story-tellers in civil society for reaching the heart of the people and sustainable organizational development. Well curated stories have a key role here. We witness many disturbing stories that are shaping our life and worldviews and there is a big need to tell new stories on youth workers’ side. This workshop idea has been initiated with these thoughts”, said one of the main trainers of the workshop, Vedat Sevincer (Norsensus Mediaforum, Norway). During the six-day training course, the youth workers experienced in various forms the storytelling mind-set, and developed skills and knowledge related to story thinking, story structure, and storytelling techniques. Moreover, they learned to connect their personal stories to the organization’s stories and to their clients’ stories. And, for making their organizations more sustainable, the youth workers tried out various storytelling techniques for advocacy and fundraising activities. Finally, the participants made the plan on how they will use the storytelling in the future, for themselves and for their organizations.